Enjoy the sartorial heritage of India by wearing this beautifully designed dupatta drape skirt. 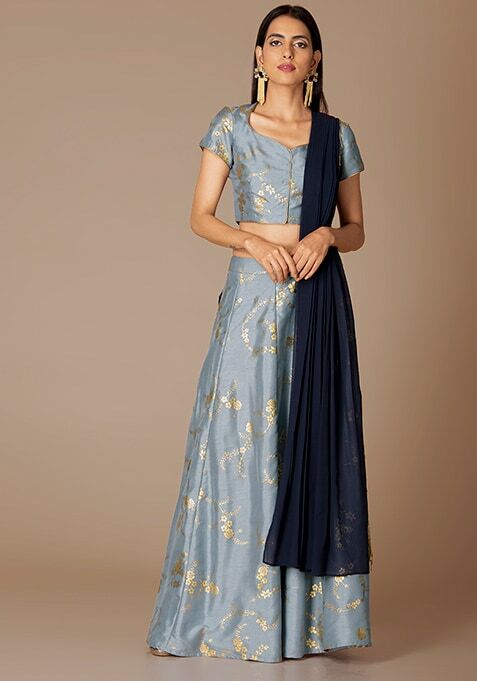 Features all over floral foil and attached navy dupatta. Work It: Pair this skirt with a matching crop top and you are set to rock the dance floor.